Hamilton Beach 5-Quart Portable Slow Cooker Just $12.88 – $16.88 + FREE Store Pick Up (Reg. $19.94)! 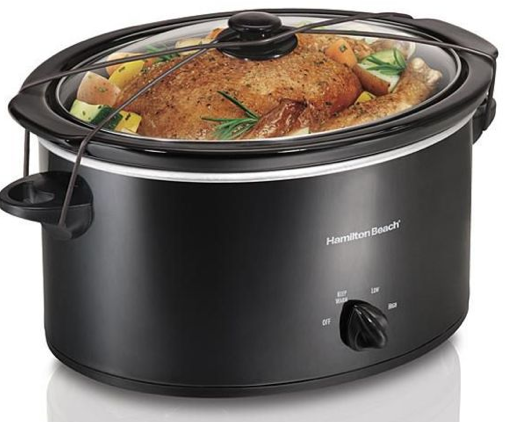 You are here: Home / Great Deals / Hamilton Beach 5-Quart Portable Slow Cooker Just $12.88 – $16.88 + FREE Store Pick Up (Reg. $19.94)! I’ve got yet another hot slow cooker deal for you! Get a Hamilton Beach 5-Quart Portable Slow Cooker for just $12.88 – $16.88 + FREE Store Pick Up (Reg. $19.94) with Site-To-Store shipping! They have some cute colors and designs to choose from!